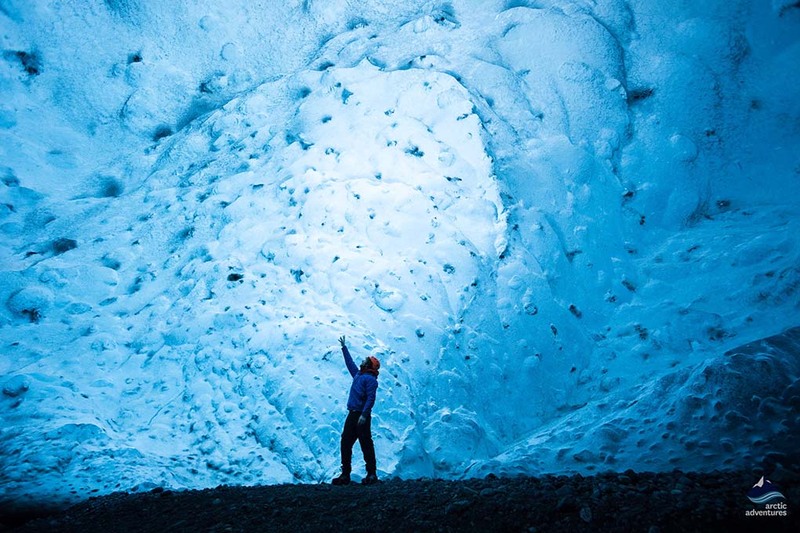 This 3-day tour is a great opportunity to witness the amazing variety of magical landscapes that the South Coast of Iceland has to offer and hike on Europe’s largest glacier. 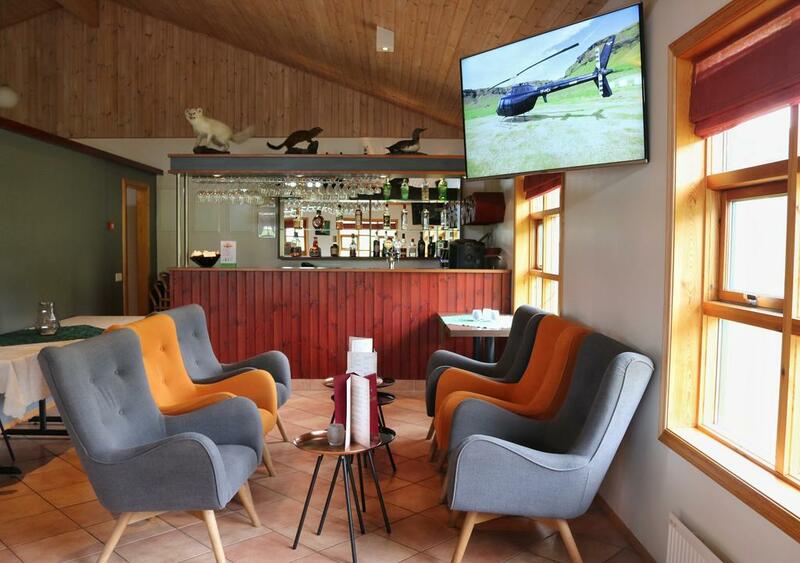 Add to that a full day expedition in one of the most beautiful places in the Highlands, with a Super Jeep ride and a relaxing bath in a natural geothermal pool. It cannot get any better than that. Are you visiting Iceland for at least three days during summer? Then this is the perfect tour if you want to see some of the most famous places in South Iceland and still get to see true hidden gems in the remote Highlands. It allows you to get out of the city, discover amazing landscapes and join great adventures! 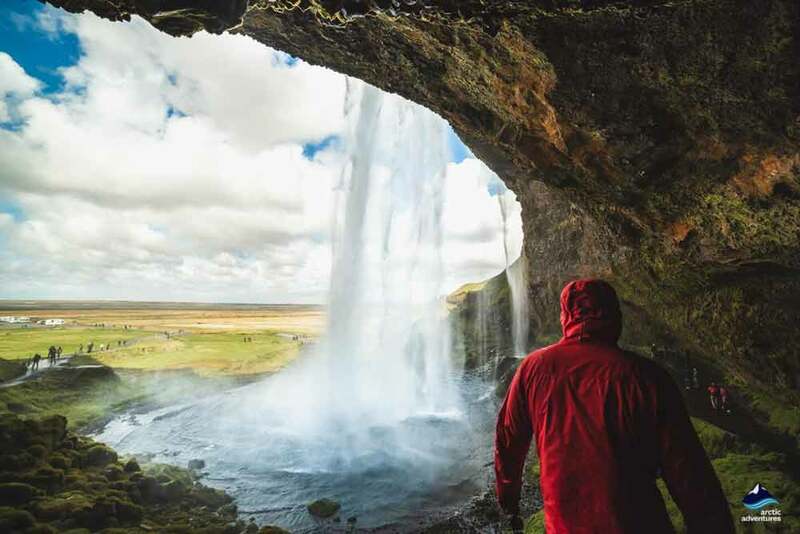 Experience the well-known South Coast with beautiful waterfalls, lava fields out of sights, the emblematic black sand beach of Reynisfjara and the magical glacier lagoon along with its beach dotted with hundreds of ice chunks. 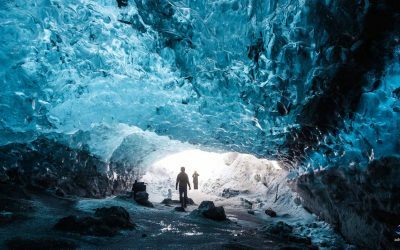 Put some crampons and walk on Vatnajökull, Europe’s biggest glacier, take a boat trip at Jökulsárlón across the many icebergs (EXTRA) and hike in one of the most beautiful places in the Highlands. Trust me, you will not have time to get bored! The South Coast of Iceland is the country’s most popular sightseeing route with the Golden Circle. When we talk about the South Coast, we usually think of the shoreline which stretches from Reykjavík to the coastal village of Vík. However, it can also include Jökulsárlón and the Diamond Beach in the Eastern end. Located along the Ring Road, the South Coast is the most accessible part of the Southern region. There is a vibrant wildlife on the South Coast. During the summertime, many birds including puffins are nesting at Dýrholaey cliffs, near from Reynisfjara beach. Seals can also be spotted along the shore and more often at Jökulsárlón glacier lagoon. The South Coast is thought to be one of the most beautiful areas in Iceland by many tourists who have been there. Landmannalaugar is a true geological wonder located in the Southern part of the Highlands called Fjallabak Nature Reserve. During summer, it is one of the most popular places to go hiking and bathing in a natural hot spring. The surrounding multicolored rhyolite mountains makes it the perfect place to take great pictures with shades of red, pink, green, blue and yellow. Landmannalaugar literally means the People’s Pool, because for centuries, it served as an area of shelter and relaxation for weary travellers and settlers. 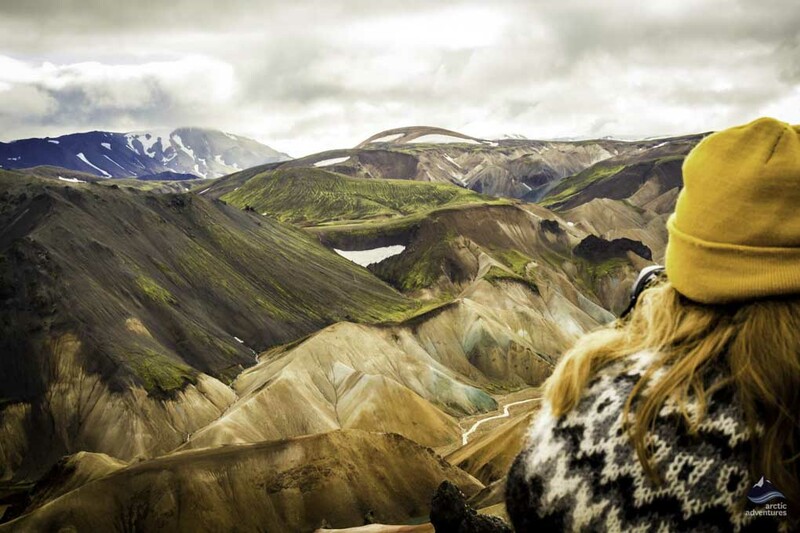 Nowadays, Landmannalaugar is above all the starting point of Laugavegur trek, named one of the 20 Best Hikes in the World by National Geographic. This route links Landmannalaugar to the beautiful Thorsmork Valley. It is necessary to have a 4WD to go to Landmannalaugar, which is why our guides will take you there with a fierce Super Jeep. For fuller details please see the itinerary section! 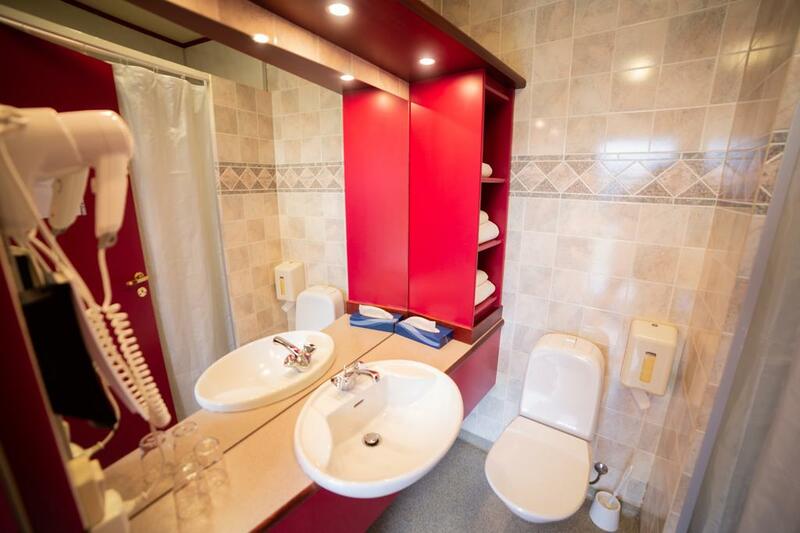 Accommodation for 2 nights with breakfast is included. You will stay at a hotel or guesthouse out in the countryside. 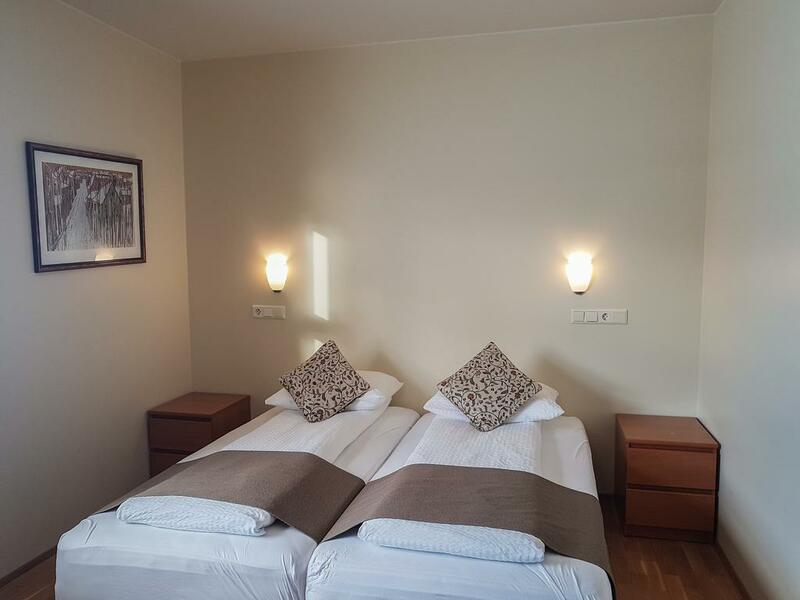 Pick up is at 08:00 from your hotel or a nearby meeting point in Reykjavík. Picking everyone up can take up to 30 minutes, your patience is much appreciated. Available pick-up points: Arctic Adventures’ pick-up list. What to bring: Warm outdoor clothing, a waterproof jacket and pants, headwear and gloves. Good hiking boots are required for the glacier hike. A bathing suit and a towel if you want to bath in a natural warm pool at Landmannalaugar. Don’t worry, you can always rent sturdy hiking boots, waterproof jacket and pants in the booking process. Please note, we do not rent gear from locations, this must be booked in advance. 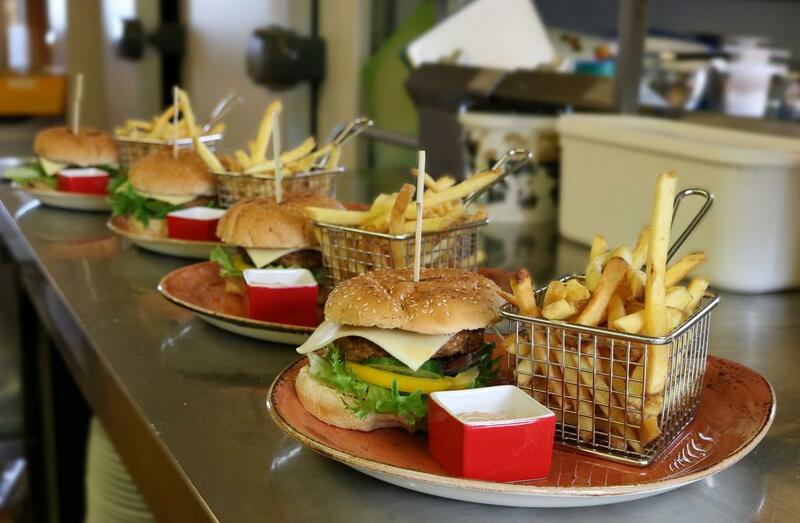 Breakfast is included at your hotel restaurant on day two and three. 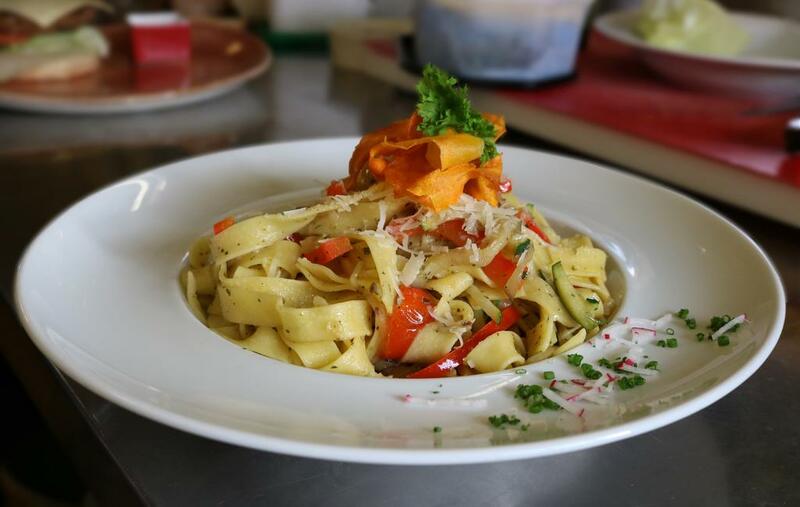 Meals and beverages are otherwise not included on this tour. We will, however, be making stops where you can purchase all necessities. The tour will begin with pick up at 8 am (08:00) in Reykjavík. 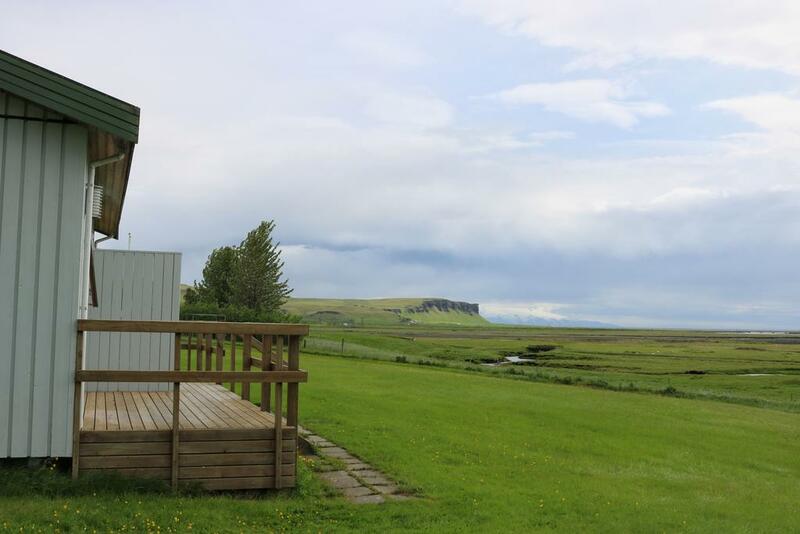 Then, we will leave the city and head towards the South Coast of Iceland, where we will pass by a few villages before arriving to our first stop: Seljalandsfoss waterfall. The 60-meter high falls (200 feet) offers the opportunity to walk behind it thanks to a pathway that encircles the cascade. However, don’t forget your waterproof clothes and be prepared to get wet as you will have the possibility to get really close to the flow of water. Sturdy shoes are also a must as the pathway can be a bit slippery. 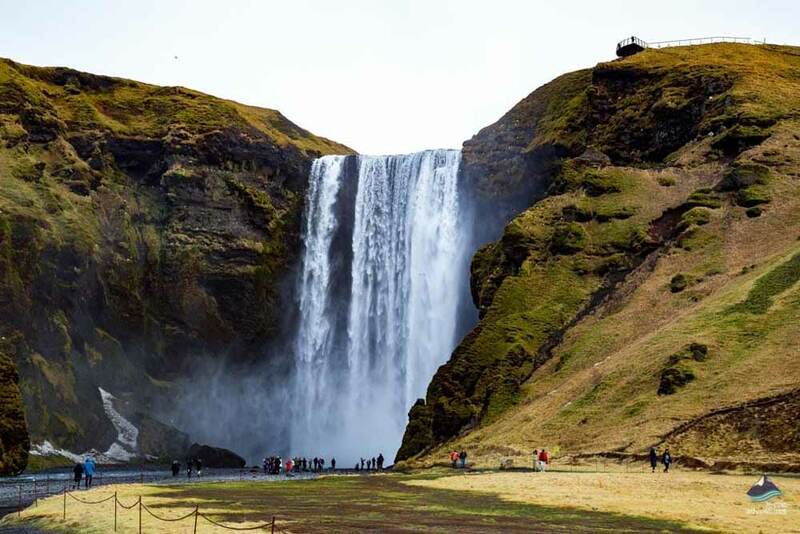 Due to its proximity to the Ring Road, Seljalandsfoss is one of the most famous and photographed waterfall in Iceland. 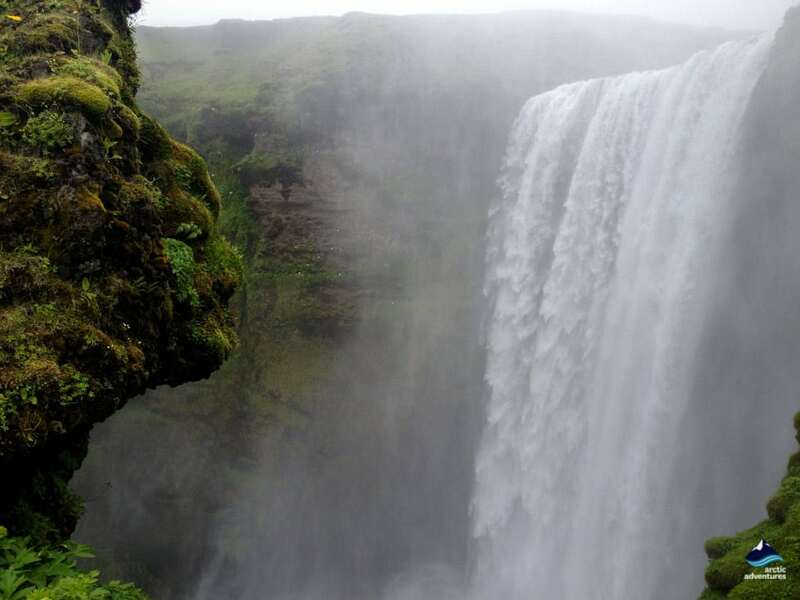 Back in the minibus, we go on a short journey to the next highlight which is Skógafoss waterfall. With a drop of 60 meters (197 feet) and a width of 25 meters (82 feet),it is possible to walk up to the top thanks to a stairway of 527 steps. As the falls produce a lot of drizzle, beautiful rainbows are often seen on sunny days at Skógafoss. The legend says that a settler named Þrasi buries his chest full of gold under the waterfall, but no one succeeded to catch it yet. After the two iconic waterfalls of the South, the next stop is Reynisfjara black sand beach, one of the most well-known in the whole world. 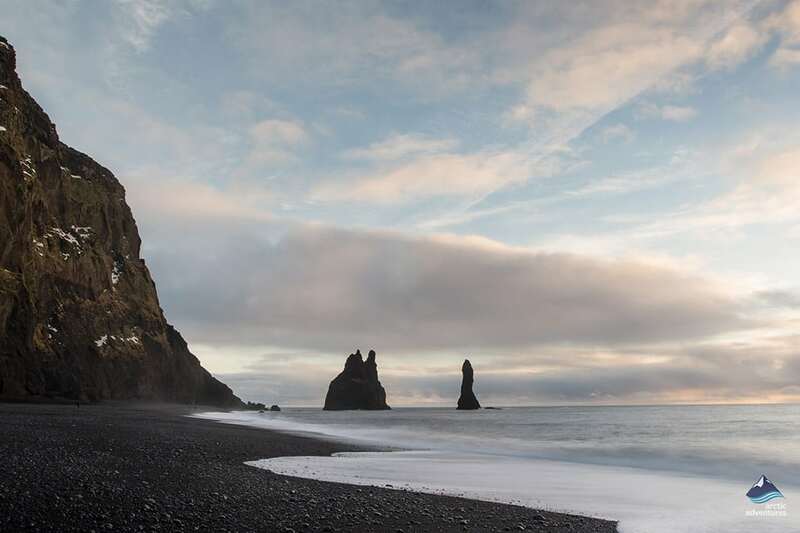 With its basalt columns and the impressive Reynisdrangar rock formations rising from the ocean, the dramatic beach is really photogenic. Reynisdrangar is actually believed to be two trolls caught and petrified by the daylight. The place is so beautiful that in 1991, Reynisfjara was on the top ten of the most beautiful non-tropical beaches in the world. The roaring waves of the Atlantic Ocean can be sneaky, it is recommended to always pay attention to them and never get too close. 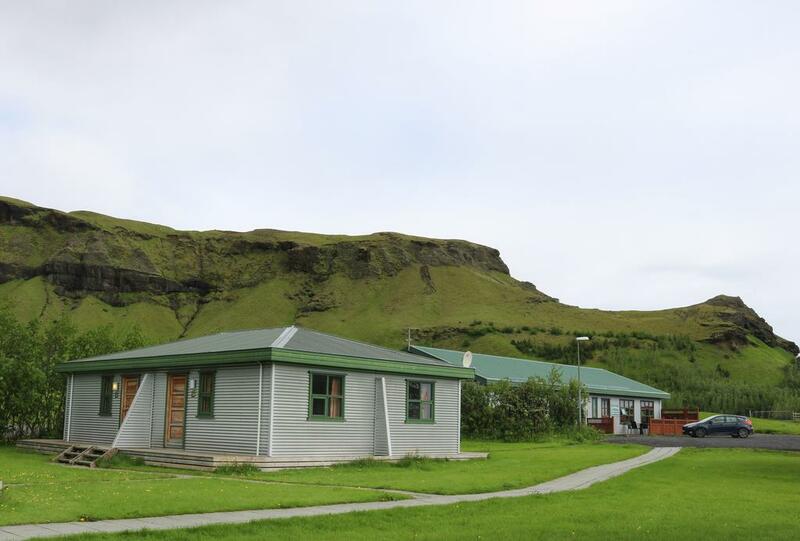 We will stop for lunch at Vík, the southernmost village on the mainland, with approximately 300 residents. The main highlight of Vík is its beautiful church offering a panorama on the town as well as Reynisdrangar on a sunny day. There is a rich birdlife in Vík, one of Europe’s largest Arctic tern breeding grounds. After a good meal (note that we don’t provide lunch and diner), let’s make our way further east, where we will drive through unique landscapes including lava fields, volcanoes and glaciers. Once we arrive at the accommodation near the biggest glacier in Europe, we will settle and enjoy some rest in the countryside. 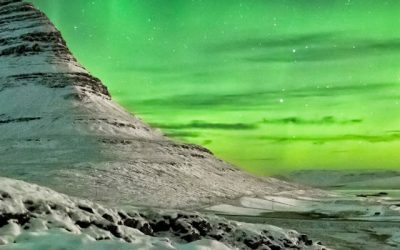 From the end of August until the end of April, if the conditions are good, this is a great place to watch the Northern Lights. Our second day will start with the beautiful Jökulsárlón glacier lagoon, a real gem on the South Coast. In the summertime, it is possible to add an amphibian boat tour to your incredible journey (note that it is necessary to book it in advance). Navigating along the icebergs and having the opportunity to taste a 1,000 year old ice is a total delight! The ice lagoon is fed by Breiðamerkurjökull, an outlet glacier from the huge Vatnajökull. Every now and then, the glacier let go some ice chunks into the lagoon, they can be any size and any color. The icebergs then navigate to Jökulsá, the shortest river in Iceland, to end up on the shore of the Diamond Beach. The black sanded Diamond Beach hosts hundreds of white and blue ice chunks.You definitely don’t want to miss this place on your trip to Iceland! 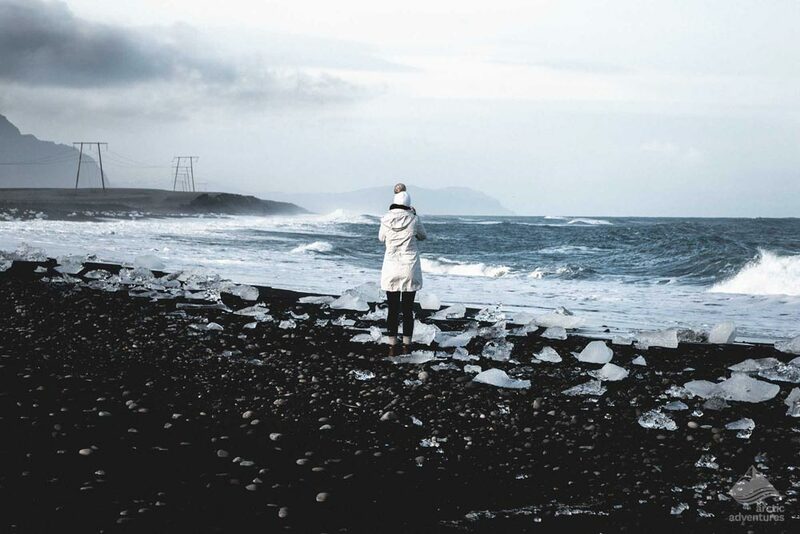 Located right on the other side of the street at Jökulsárlón, Breiðamerkurssand (which is the real name of the beach) is a perfect place to stop and take incredible picture with high contrast. The magic doesn’t stop here as we are now heading to the majestic Vatnajökull glacier tongue to hike on top of it. Vatnakökull is the biggest ice cap in Europe and covers 8% of Iceland’s territory, with a surface of about 8,100 square kilometers (3,127 square miles). Our certified guides will take you on a safe trip and give you all the necessary gear to hike like a pro. On your journey, you will meet some incredible ice formations and crevasses. It is such a unique feeling to hike in the middle of nowhere, only surrounded by ice. The glacier is always changing of appearance. If you go there during summer or winter, it will never be the same. You will learn a lot about glaciers as the guide will provide some surprising information about them. Vatnajökull National Park served as a setting for many movies and TV shows such as Batman Begins, Game of Thrones or also The Secret Life of Walter Mitty. 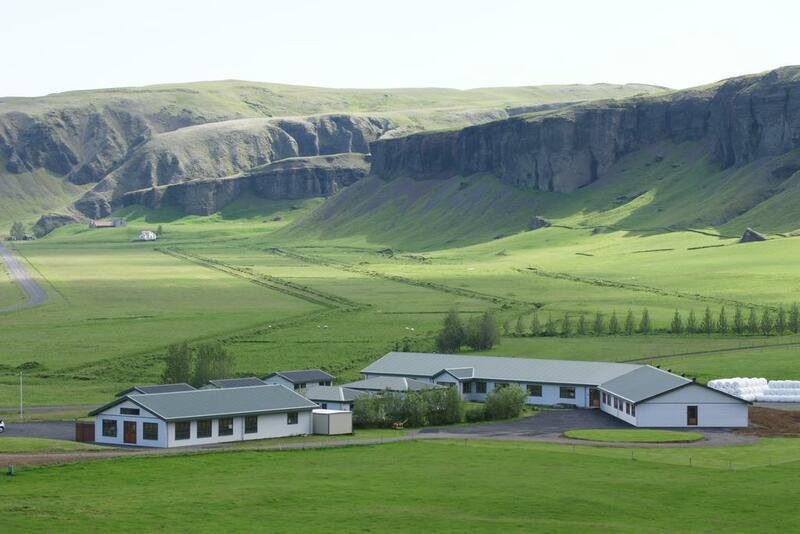 After glacier hiking, it is time to go to the accommodation for our second night in the countryside. 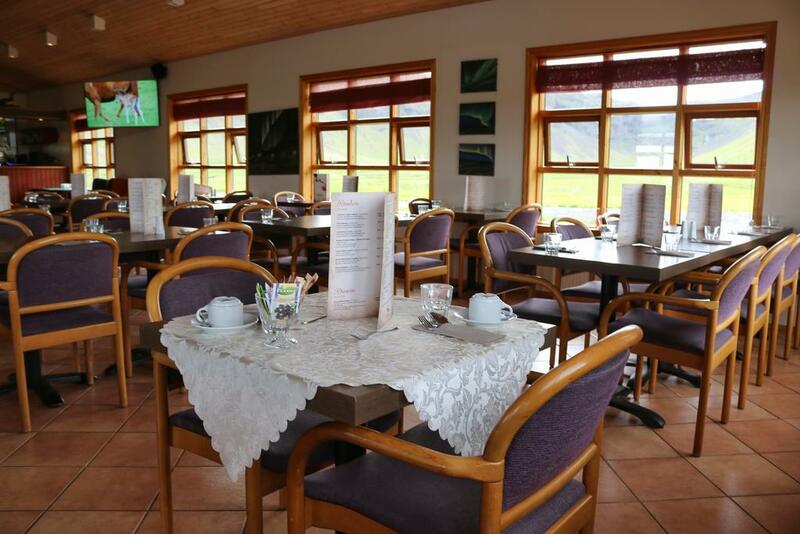 We will rest at Hella, a small town with approximately 800 inhabitants, located on the Ring Road. 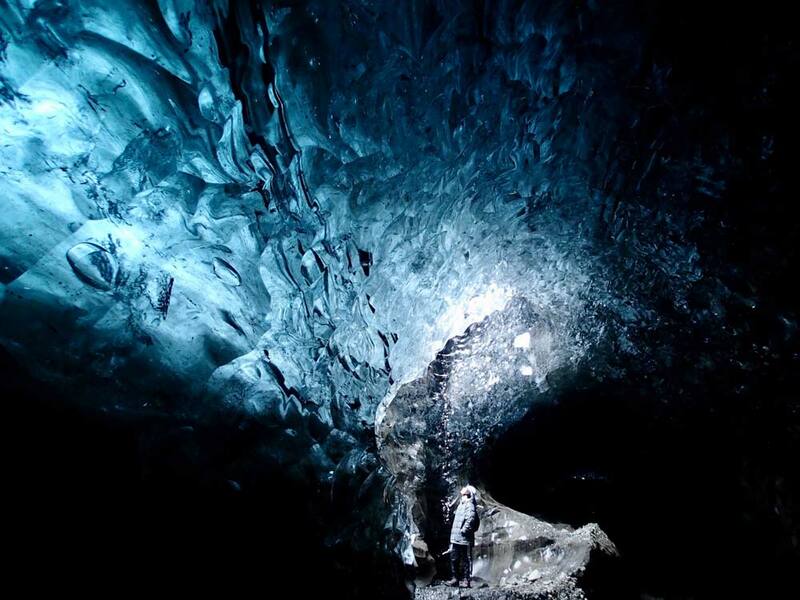 During winter, we try to visit an ice cave instead of going glacier hiking. 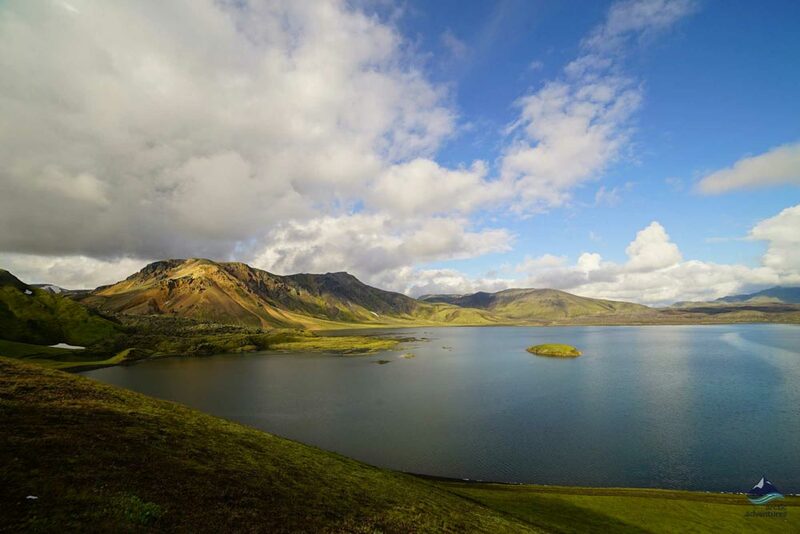 From Hella, we will head to the beautiful Highlands, one of the most remote parts of Iceland. Landmannalaugar is only accessible with four-wheel drive vehicles. With our fierce Super Jeep, the guide will take you all the way up to the mountains, with the snow-covered peak of Iceland’s most active volcano (Hekla) in the background. 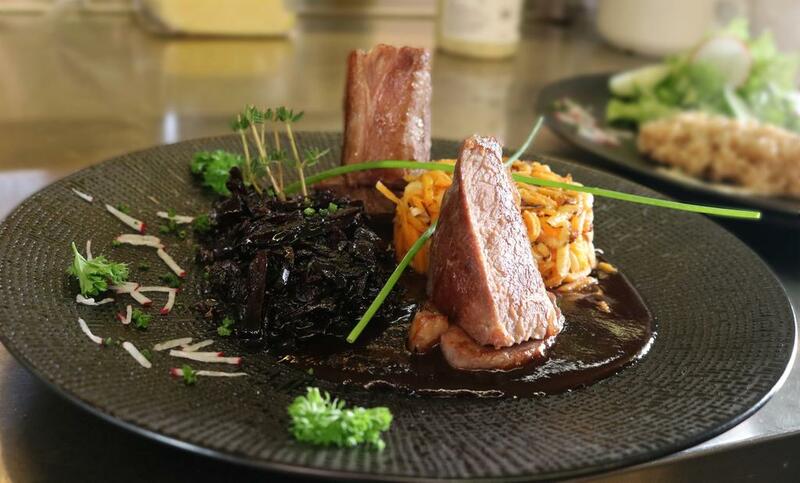 If the weather allows it, we will drive up to 900 meters above the sea level to a wonderful panoramic viewpoint, where it is possible to enjoy a splendid view of the surrounding region. 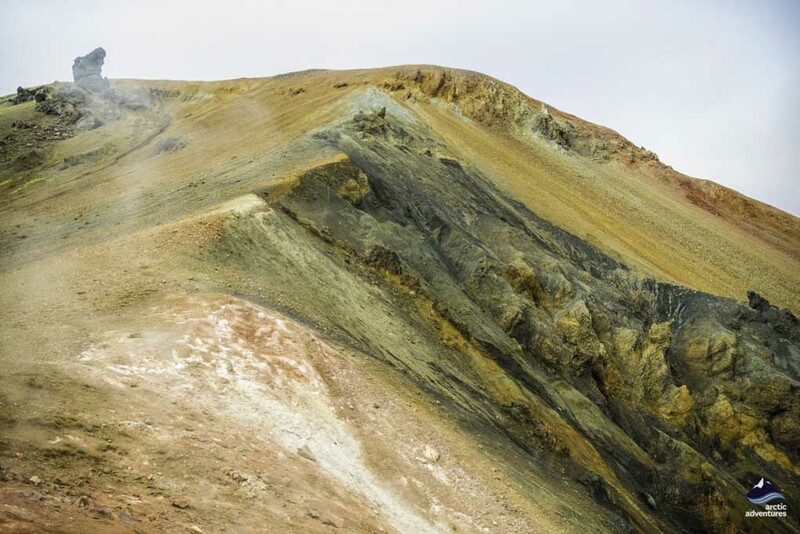 We will pass by rugged lava fields, big craters and several streams until we finally arrive at Landmannalaugar. Time for a refreshing dip in the natural hot springs around. Don’t forget your bathing suit! What a great experience to be in a warm water with fresh air outside. It will be hard to go out of the pool. The next highlight is Ljótipollur explosion crater. There is a lake inside the crater, which makes it particularly photogenic. With its red slopes, blue water and lava layers visible at the brim, the crater is a great attraction for photographers. Þjórsárdalur, or Thjorsardalur, is a lush valley formed by Hekla volcanic eruptions. Two rivers are running through the valley: Sanda and Fossa, and there are wide areas of birchwood, making this place part of the National Forests. 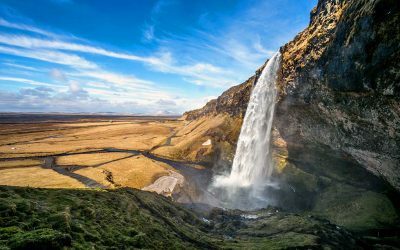 The valley also hosts two beautiful waterfalls called Hjálparfoss and Haifoss, the latter being one of the highest in Iceland. This place has an impressively wide variety of landscapes. We will make a stop at Hjálparfoss, which is not less beautiful. Hjálparfoss is a unique waterfall. 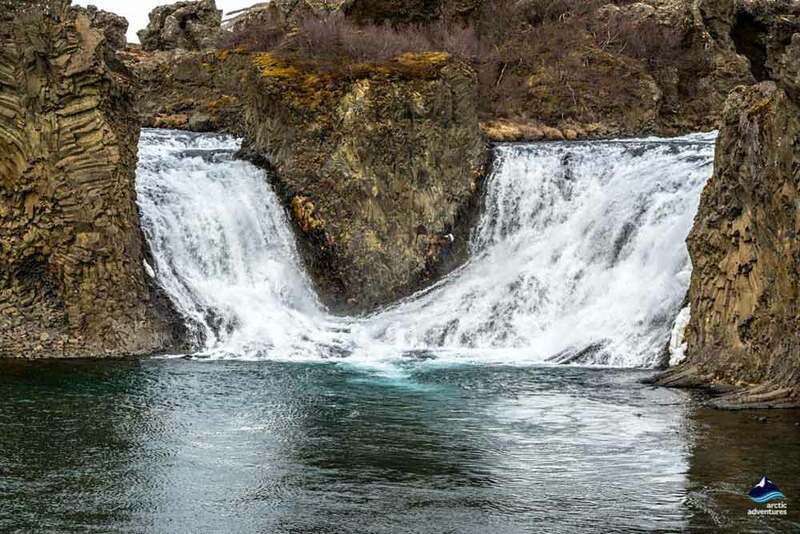 The falls are on the top 20 of the most easily accessible waterfalls in Iceland. Hjálparfoss is a two-stepped waterfall near the confluence of river Thjorsa and Fossa. The name of the falls can be directly translated to “Help waterfall” because in the past, Icelanders traveled from the Northern Region to the Southern one throughout the Highlands and it was hard to find a good field for their horses to graze along the way, until they found Hjálparfoss, which was a great help for the horses. The last highlights that we are going to see on our long trip is Lake Frostastadavatn. Surrounded by black lava fields and colorful rhyolite mountains, Frostastadavatn covers around 2,5 km² (1 square mile) and lies at 570 meters above sea level. The lake is rich in trouts and many fishermen are going there for fresh catches. The lake is also renowned for its vivid blue water and green vegetation. Everything comes to an end and so does our amazing trip! 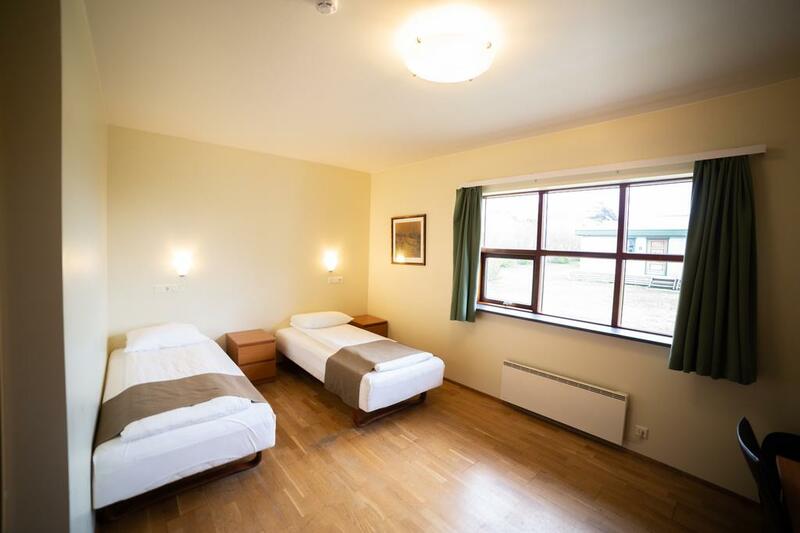 We will drop you off in Reykjavík, near from your accommodation, by the end of the day.